I wrote a few weeks ago about Toys R Us making 8% its new normal for credit card rewards. Now, it’s possible to do even better: on Saturdays in November and Thursdays now through January 2015, you can get 10% back on your purchases made with your store-brand credit card at Toys R Us and Babies R Us. *Some* Toy R Us sell Kindle gift cards, but many don’t. Even when they do they don’t carry a large number or restock fast (as discovered by slickdealers during Amex sync deals). 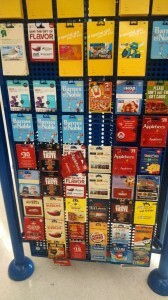 My local Toys R Us has another gift card rack you missed with “gaming” and cell phone gift cards – stuff like karma coin, facebook, zynga, and various prepaid cell phone providers. Incidentally, this is not the first time Toys R Us has run a 10% promotion–they did one over the summer as well. I don’t know whether or not you can count on them happening regularly, but the powers that be are apparently happy with the results thus far. Note that this card is issued by Synchrony Bank (aka The Artist Formerly Known As GE Capital), so your credit line will probably be low. 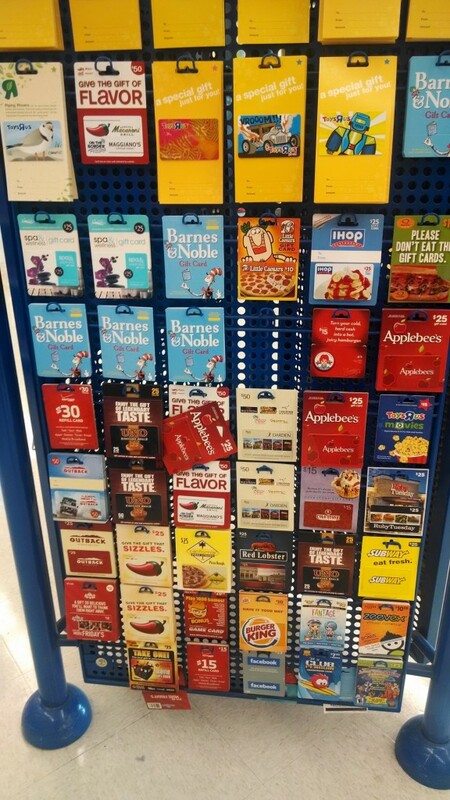 I agree the variety of gift cards @ TRU might not be great, but they do seem to have have expanded offerings since last year, at least in my local store. Right now I’m earning 5% CB on my Citi Dividend card @ toy stores, and was actually able to find and buy $25 Shell GCs there (also available in $50, but those were sold out). I was surprised to see eBay GCs too, as I thought they were no longer available in stores. This TRU also accepts PayPal for purchases, so I was hoping I’d find My Cash and/or other PP cards sold there too…but no luck! I don’t have this card, but I see a tiny little master card symbol on there. This means you can stack it with the fuel rewards winter bonus. It’s fairly lucrative….Earn 20¢/gal for every $100 you spend in accumulated purchases with your linked MasterCard at ToysRUs, JCPenney, and Olive Garden. It’s cumulative. You just have to link your master card to the account. I value 20c/gal/$100 at a little less than 4% rebate. Thanks for the additional savings info, Jamie!